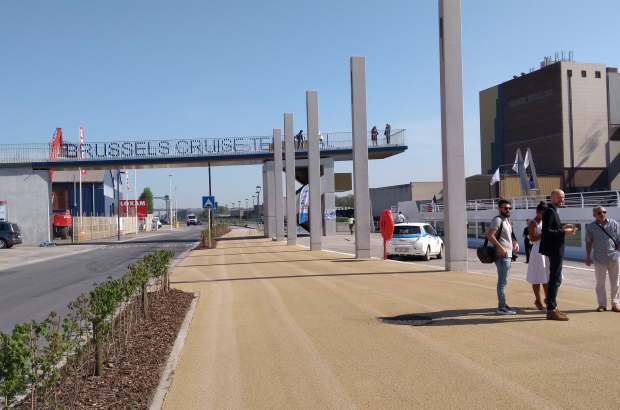 The Port of Brussels has opened a new passenger terminal for river cruise ships, with the goal of trebling the number of cruise daytrippers visiting the city by 2030. The new €5.2 million terminal, which received 60% European funding, provides docking for ships that are too large to use the central Brussels canal. The first boat to use new facility in Neder-Over-Heembeek on Friday was the 110-metre-long MS Modigliani, belonging to a French cruise operator, with capacity for 160 passengers. Last year, 12,000 daytrippers visited Brussels on a river cruise and that figure could rise to 35,000 a year by 2030, generating €5 million in economic benefits, according to a feasibility study for the new terminal.